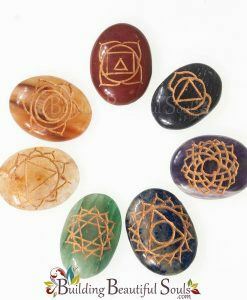 Heighten the effectiveness of your healing sessions by adding the energy of unconditional love, which can only be found in the heart! 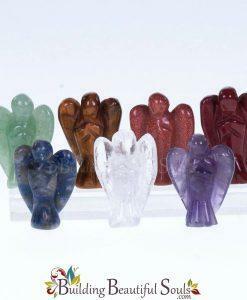 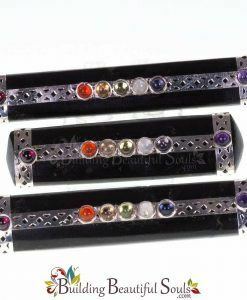 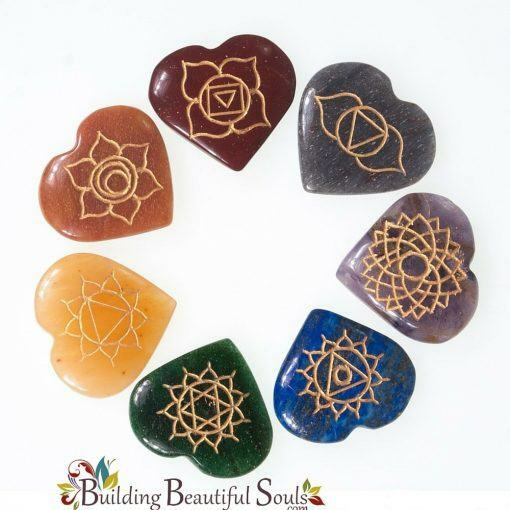 This Chakra Healing Stone Hearts Set is beautifully engraved with the Sanskrit symbol for each of the 7 Chakras. 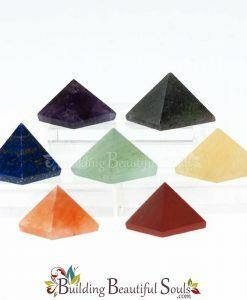 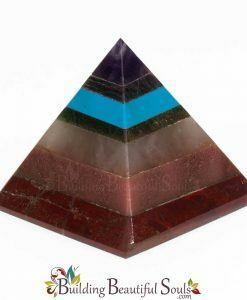 These healing stones can be used in Chakra Healing, Balancing, Clearing and Meditation sessions by placing the corresponding heart stone on the appropriate Chakra energy center.